The Lions have a need for a running back, but what kind? At one point during Monday’s Season Ticket Holder Summit, general manager Bob Quinn and head coach Matt Patricia were asked about the Detroit Lions’ need for a running back. 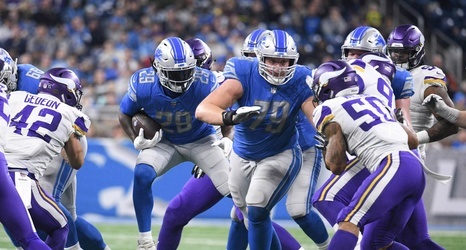 After Kerryon Johnson was injured, the fan noted, the Lions only seemed to have bruising backs, and were missing the home-run threat that Johnson offered. So are the Lions looking to have another speedy guy to basically work as Johnson’s backup? Or will they be looking for a guy that can push the pile more effectively than LeGarrette Blount did last year?